"It is unique in that way," Osment tells me over the phone just weeks out from the release of the long-anticipated Kingdom Hearts 3. "I get that sometimes in live-action projects people get to play a character over a large number of years, but with this, you know, the fact that it's animated. I mean, first off there's technical considerations because for particularly early on Sora didn't age very much. I think he's a little bit older now [in Kingdom Hearts 3] than he was in Kingdom Hearts 1 and 2. But early on, you know, I started this when I was 12, and my voice had started to change and everything. So learning how to manipulate that and keep the voice sounding young while still preserving the range of emotions that Sora had; that was a unique challenge." Ask anyone born in the early 1990s or late 1980s, and Kingdom Hearts was probably some part of their childhood. It hit at the prime time for Disneymania and Final Fantasy fervor. Final Fantasy had wowed our parents (or kids themselves, if we were old enough) on PlayStation and SNES, while we fell in love with Aladdin, The Little Mermaid, Beauty and the Beast, and other animated films from the Disney Renaissance. The two mashed together were an unlikely pairing, but a welcome one, when Kingdom Hearts was introduced in 2002. Osment, too, was one of the biggest child actors of the era. It started with Forrest Gump, where he played Tom Hanks' son in a small role. Then came M. Night Shyamalan's The Sixth Sense (of which Osment landed an Academy Award nomination) and Steven Spielberg's A.I. Artificial Intelligence (once to be produced and directed under the late Stanley Kubrick)—an impressive lineup of films for an actor who hadn't yet hit puberty. And at the peak of this moment, Osment was cast in the first Kingdom Hearts, only the beginning of what would become a monstrous sensation of a video game series. "With the first one, I think I started that right after I finished shooting A.I. with Steven Spielberg, so that was definitely a big pivotal moment in my life. I had started 7th grade, I think. That's a big transitional period for me," Osment says. "And then for Kingdom Hearts 2, that was like my junior and senior year of high school, you know, which is sort of the end of adolescence and everything. So there have always been kind of big life transitions behind the major chapters and in the Kingdom Hearts story." Over the past nearly-17 years of Kingdom Hearts' debut, Osment's Sora (and to a much lesser extent the character Vanitas, who he also voices) has remained something of an eternal teenager. All throughout the series, Osment's performance of Sora has never wavered; you believe a kid adorned with 500 zippers could always be this pleasant, no matter what life throws at him. For the sort of hero who always has a smile on his face and a willingness to take on any favor someone asks him to do, Osment portrays the forever-teenager with exuberance. 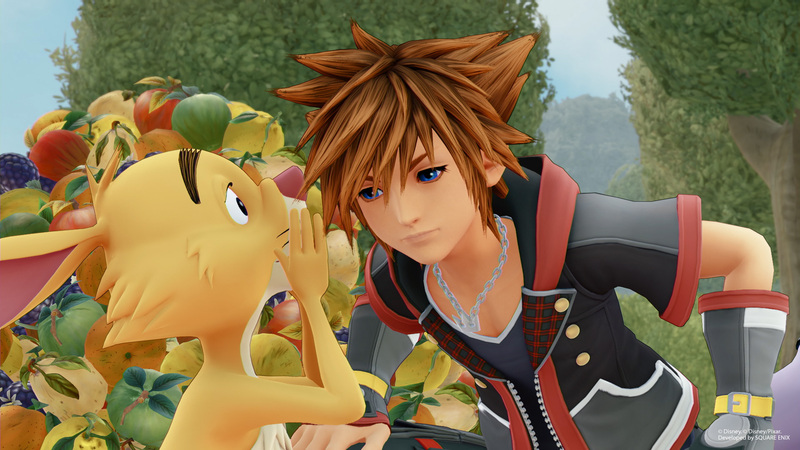 Sora may not be the most gruff or tough video game hero, but he's the most earnest. He's motivated by love and friendship and, y'know, saving the universe from the dark powers that be. Over the years, Osment hasn't missed one oversized shoe's step of Kingdom Hearts' impassioned beat. As of late, it's been a busy time for the actor. This month, season two of the Hulu show Future Man will premiere, on which he has a recurring role. In just a few weeks, Osment's off to Sundance Film Festival to debut the film Extremely Wicked, Shockingly Evil and Vile, which stars actor Zac Efron as serial killer Ted Bundy. In the midst of his busy professional life in the past year, he's still somehow found time to guest on some popular podcasts in the comedy space too. Comedy, in particular, has become a massive part of Osment's life and career as of late. It started with a role on the IFC show The Spoils of Babylon, which starred Kristen Wiig and Tobey Maguire. From there, Osment was on the TV version of podcast Comedy Bang Bang, another IFC show, from 2014 to 2016. "I think there's a lot more variety in the comedy in this version of Kingdom Hearts," Osment says. "Sora's always been an upbeat and positive character but they definitely found some new shade for him in this one that make things pretty interesting. And it's just really helpful to have that experience and, you know, with podcasts and being on those shows with a lot of people who are really talented at improv and everything." Just last year, he also appeared in NBA 2K19, the latest in 2K Games' basketball sim. He notes that despite the vast difference between the experience—as NBA 2K19 was motion captured, his first experience with it to boot—he found similarities between the two; namely, in the secrecy behind both projects. 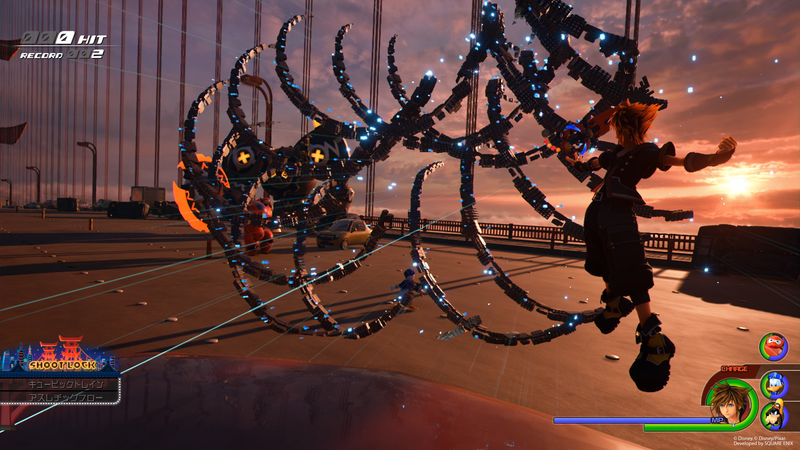 Where Kingdom Hearts is cagey about its story and new worlds, NBA 2K19's studio was hush-hush regarding the specific technology it was using for its motion and facial capture. "We felt like it was weird energy in the room because of just all the technology that was humming at the same time. So it's definitely a little bit easier to be in a vocal studio with you know a cup of hot tea just doing the lines." The hectic time, by extension, led to a much different recording process for Kingdom Hearts 3 than Osment was used to in the past seven games he's appeared in the series, even if the process was just as long in stretching about a year. All throughout 2018, Osment recorded all over North America depending on where his work took him, in Los Angeles, New York, and Canada. At one point, Osment almost had to figure out a way to record in South Africa, as he was filming a series down there. But luckily, the schedule didn't end up conflicting. Kingdom Hearts is a series that demands knowledge, as if every player should have a Wikipedia page memorized about Nobodies, Heartless, the Organization XIII, Master Xehanort, and so on. For the fans that don't dwell in forums devouring every tidbit of news, the series feels a bit inscrutable. To Osment, it's an element of the series that's always been prominent, even near the very beginning of when it all began to unravel. "I remember when we went in to start Kingdom Hearts 2, the producers had a big, like, poster board showing the plot flow and everything, because you know there's different dimensions and time travel and all that stuff," Osment says. "So it was fun carrying a character forward like that through all those changes and everything." In the almost-17 years since its debut, Kingdom Hearts has cultivated a fandom unlike most. For as long as I can remember on the internet, Kingdom Hearts-centered fan communities have persisted; enlivened by fanfiction and any information on Kingdom Hearts 3, by memories of grinding for the Ultima keyblade and gearing up for the secret bosses of Sephiroth. It's a community that's not only passionate, but is alive and well, never faltering—even with long gaps between mainline releases and its side releases. The most recent, if it's to be counted, is Kingdom Hearts 0.2: Birth By Sleep - A Fragmentary Passage from 2017, a short adventure starring Aqua from Birth By Sleep that was bundled within the Kingdom Hearts 2.8 HD Final Chapter Prologue bundle featuring other late series games. Kingdom Hearts 3 may arrive just two years after that chapter, but it's also a solid seven years since the last major title: the Nintendo 3DS game Dream Drop Distance. Long before that Kingdom Hearts 2, the last numbered entry, released back in 2005. While still spinoffs, Kingdom Hearts differentiates itself from most games with many, many different non-numbered entries: everything's canon, so everything is pretty much essential. That's daunting for any player. "I think because the way we record, sometimes not everything has been revealed to us," he says. "There are things that are secret and we, you know, with anything you're recording things out of order. So we piece it together as we go along, but the directors that are always there with me leading the vocal sessions are really excellent and we always know at least in every scene what the beats are, what the emotions are, and what's come before there. And we're always on the phone simultaneously with Japan so that the entire creative team is advising us on decisions and everything." 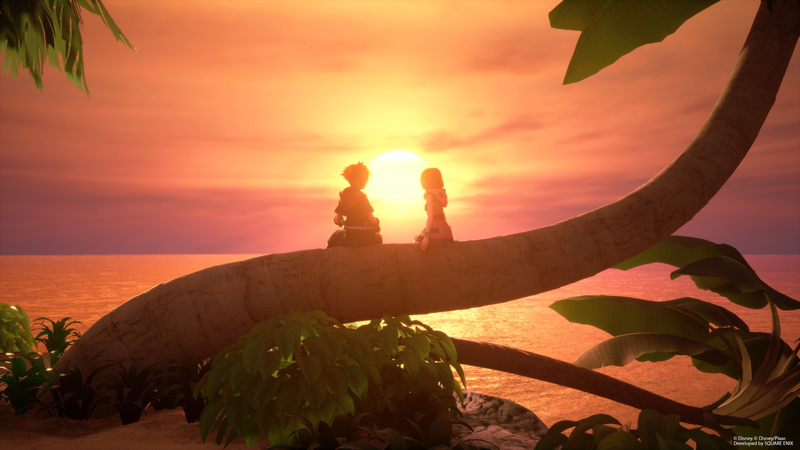 Looking back on his time with the Kingdom Hearts series, one specific memory rises above his late high school-era recordings for Kingdom Hearts 2. It's a memory that doesn't sound like a complete surprise when considering Osment's admiration for improv—because it's the most improv-friendly thing a strictly-animated video game can muster. That is, recording the game's action sounds. While Kingdom Hearts 3 is perceived to be the end, at least of the Xehanort Saga as Nomura describes it, it is an end of sorts to at least the Kingdom Hearts that we know and love. Ever since the end teaser for Kingdom Hearts 2, despite the finality of its first ending, fans have been clamoring for whatever Kingdom Hearts 3 would eventually bring. In just a couple weeks' time, it will be here, with familiar Haley Joel Osment still voicing Sora, augmenting his voice to fit the teenager. Wrapping up Kingdom Hearts 3 was an emotional time for him, closing out another chapter on Osment's own life with his bustling career as a working adult now, a long ways away from a 12-year-old kid getting excited about making fighting sounds with an army of directors observing. Tagged with Disney Interactive,	Feature,	Film/Television,	Haley Joel Osment,	PlayStation 4,	Role Playing Games,	Square Enix,	Xbox One.